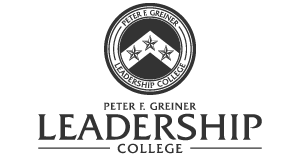 The Peter F. Greiner Leadership College provides leadership and personal development training and education for undergraduate members of Beta Theta Pi. Conducted during the Fraternity's General Convention, the Leadership College curriculum aims to connect modern leadership topics reflective of the changing landscape of society with traditional fraternal values. Participants will be allowed the opportunity to choose from one of four unique tracks to customize their Leadership College experience. As a result of gifts from loyal friends and family members, this program is named in memory of Peter F. Greiner, Minnesota '51, former General Fraternity president, vice president and district chief. Each chapter president selects a registration package for the chapter with various price points. See the Convention FAQ for more information. Lodging is included in the price of registration. More information TBA. Answers to common questions are available in the FAQ document. For additional help, please contact the Administrative Office at 800.800.BETA.